Having read Jon's two other books I was excited to read this one. So excited that I grabbed the book on Audible while my copy makes its way through the mail. My greatest takeaway from this book was how to build character in the work you do. The book focuses on the many ways to make your work life better and get you ready for success in future work. Really though, this seems to all be done through a series of character deposits into your career savings account (a nifty term from the book). Since character can be so nebulous, the author describes ways you can figure out what you need to work on, how you can build up those areas, and who can help you with both tasks. On this first listen I didn't stop to do the tasks, as I was already multitasking by listening to this book. However, it did leave me with questions to mull over between listening sessions that will make the tasks easier to do with the second read. 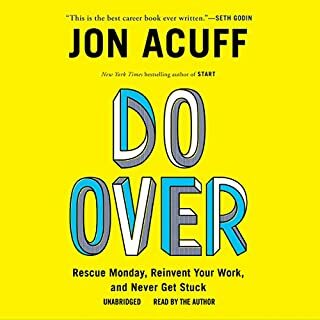 I highly recommend picking up the Audiobook as Jon really brings his own passion on the subject in the reading. Several times he goes off script for a small, but interesting or funny aside. I find myself going back to his Audiobooks just to make a bad day a little better or to motivate me to finish a task I've been dreading. I really hope you'll give him a chance on your trek trough the self help section. 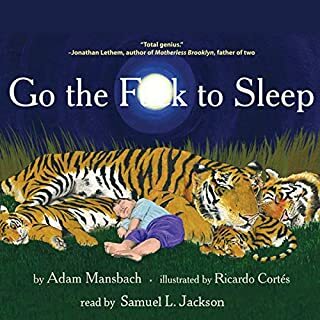 Would you listen to Go the F--k to Sleep again? Why? Yes, always on both phone and iPod. Makes me laugh when I can't sleep or am feeling down. Have you listened to any of Samuel L. Jackson’s other performances before? How does this one compare? What would you do if you held infinite power in the palm of your hand? Part One of the thrilling Order of the Seers trilogy poses this question within a story that fuses action, mystery, romance, and adventure in a science fiction novel that keeps you at the edge of your seat. 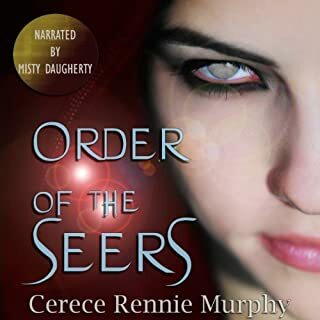 Where does Order of the Seers rank among all the audiobooks you’ve listened to so far? Probably up there with game of thrones, only shorter. I loved jumping between characters. But you never had too wait terribly long to know more about each character's plight. Alessandra. In part because I loved the way she was voiced. Though I also like how she was introduced as something to be feared, but quickly became very loveable. The scene in the truck between Alessandra and Liam. It is a lovely example of normal awkwardness in a paranormal book. Yes, if only it were a bit shorter I would have. Loved all the character voices in this. Really helped in a book as busy with characters as this. I didn't find myself wondering who was speaking as sometimes happens with big casts. "I'll grow wings all by myself." Mary is a young artist about to enter a new chapter in her life. After years of waiting and searching, she has finally found true love. She's also just discovered that her fiance; Joshua has inherited his father's rundown countryside mansion. To add to the rising pressure, her wedding day is so close she can practically hear the music. All she has to do is accept what the future holds. Accept and be happy. But something's missing. 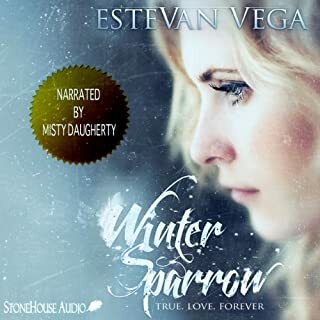 Would you consider the audio edition of Winter Sparrow to be better than the print version? I loved the pacing of the audio book. I think it lent to the mystery of the story more than just the text alone. What was one of the most memorable moments of Winter Sparrow? After the crash, was the most confusing part of the whole mystery and when I was most worried for the main character. It was exciting and surprisingly scary. What does Misty Daugherty bring to the story that you wouldn’t experience if you just read the book? Misty Daugherty gave the book an appropriate pace for the mystery I didn't realize I was getting myself into with this book. It was slow enough that I could catch the things that didn't quite fit in and try to piece together what was going on. She gave a depth to the characters with the distinct voices appropriate to each character. What's the price of wings? I was delighted that this story did not just lay out Mary's history in a clear and defined way. It slowly revealed more information and didn't explain everything in a way that has become tiring to read. This was a great fantasy mystery that I look forward to reading again.